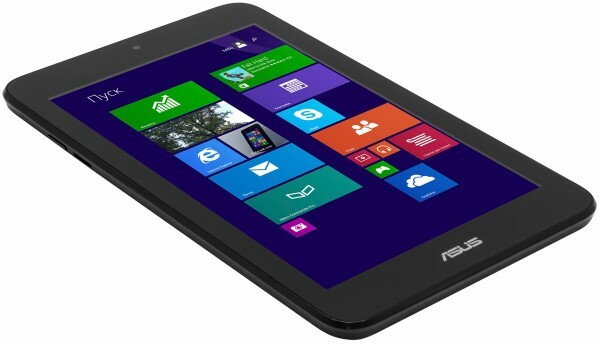 Asus VivoTab Note 8 can be called a great tablet on Windows 8. One of its main trumps is the full version of this OS, familiar desktop PCs and laptops. Among other features of the device can be called a compact body with 8-inch screen and powerful Quad-core processor, economical in terms of electricity consumption. Among other features of the tablet is to mark a couple of cameras, a light sensor, and GPS module. Plus, there are support SD card, Bluetooth and Wi-Fi, as well as interfaces to work with the "outside world". It is worth noting also support quality of Wacom, which is very handy if the tablet is used for work with documents and for drawing. First acquaintance with the tablet PC, we start with its technical characteristics. At the heart device is not the most powerful, but pretty powerful platform. The processor is economical in terms of energy consumption. The chip can provide the work of tablet, for several days on a single battery charge. Of the other features we mention the 8-inch IPS screen with a resolution of 1280x800 pixels CPU Intel Atom Z3740, GPU Intel HD Graphics, 64 GB of internal memory and 2 GB of memory, and also support interfaces Wi-Fi and Bluetooth. Asus VivoTab Note 8 looks very good. 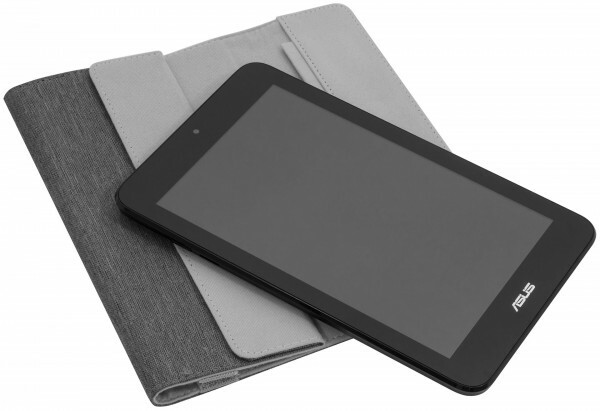 The tablet is dressed in a simple, fairly sturdy plastic with coating soft-touch, the same on the back side you can see the logo of the manufacturer. The device is painted in black color, so looks very solid. On the side surfaces of the housing you can see the control keys. Moreover, these buttons cause quite conflicting emotions. They are located conveniently, intuitively, in General, everything is almost the same as Android: right fit the power button, equipped with a small indicator and a special "rocker" to change the volume of sound. On the left is the Windows button. However, we note that the controls are quite deeply "sunk" in the body of the tablet, pressed tight. A slot for the microSD card of the tablet the creators decided to bring on a left side end of the housing, and the headphone Jack and Micro-USB port was placed on the top edge. The lower housing is equipped with a slot for the stylus, which is a thin pen, securely fastened to the compartment without effort you to get it, but this solution seriously decreases the risk of accidental loss of the stylus. The camera Lens was traditionally placed on the back of the tablet, side by side with him are the holes for the speakers. Note also that the new product from ASUS has turned out heavy – it can be some time to hold in your hand during work, but is hard to read on a book for several hours – hand in this case tired. 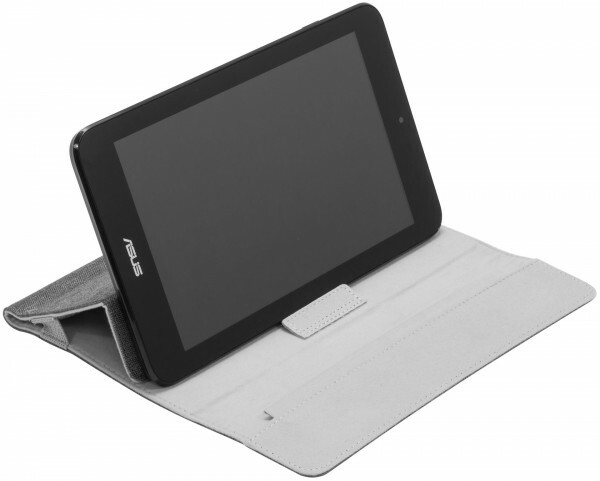 However, book lovers can always purchase a tablet with a special stand, such as the Versa Sleeve. The Device is equipped with albeit not perfect, but very good screen. The matrix, made by technology IPS, ensures excellent brightness and color reproduction. The viewing angles are very good, so that it is easy to watch movie, photos also look good. The screen in the sun a little glare, but this small disadvantage is more than kompensiruet high brightness display. An important advantage is the resistance of the surface of the screen to the fingerprint. The pixel Density of the screen there are only 189 ppi. To some this may seem enough, but actually, that is quite enough for comfortable work, and for reading books. By the way, the "desktop" you can work comfortably and without a stylus – even if the icons are small, still get on the screen is not working. If the gestures can be described as convenient, the sensitivity is quite good. Gestures for "tile" interface Windows fit perfectly, but for desktop and normal desktop applications it is better to use other methods of data entry. If desired, you can connect a mouse and keyboard, however, provides a very interesting alternative – stylus, providing a convenient handwriting input information. The Stylus was developed in partnership with Wacom, the basis of "pen" is the EMR (Electro-Magnetic Resonance). The feather is relatively thin, it is equipped with a special key, which performs here the function of "left-click" the mouse. As for writing and drawing, these processes resemble with an ordinary pencil: takes into account different pressure force and the tilt of the pen is displayed on the resulting lines. 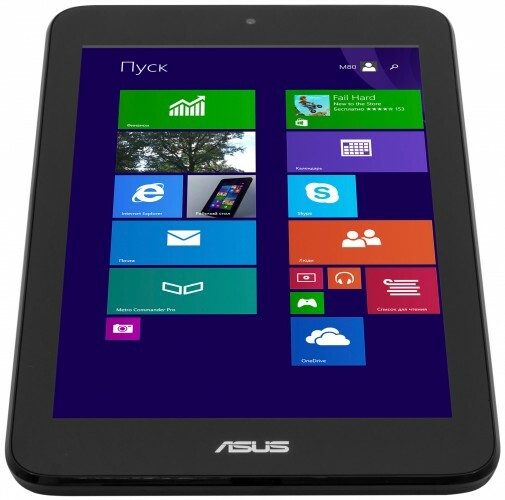 Asus claims that the tablet can recognize 1024 different levels of depression. 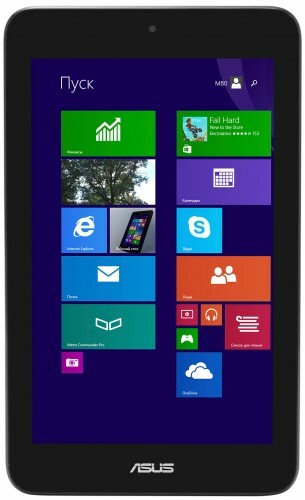 The Tiled interface of Windows 8 looks a bit unusual on a small screen. However, get used to it, it will be convenient, especially if you are using this OS on a desktop PC, you'll know what to do. While the users of Windows 7 and earlier versions of the OS, you will have to spend some time getting used to. Common work Desk are also provided. On Asus VivoTab Note 8 you can install regular apps, if they do not have gesture support, you can use the stylus. To summarize, we can say that the device is well suited for work, you'll need only some skill and SD card high capacity (simply because almost all built in the memory reserved for the operating system). To determine the performance of the tablet has been used cross-platform benchmark GeekBench 3. According to the results it becomes clear that the tablet is "top rating" in comparison with Android devices. When solving a normal "tablet" tasks the device proved to be good, it's not "slow", on the contrary, shows a very fast operation, which is very nice, given that it has a "Mature" OS. Except that in some games, the device starts to "slow down". However, it is to be expected, after all we are dealing with a tablet PC, not a gaming laptop. The battery of the device lasts a long time, is also very happy: as it was established that during the active work with the tablet battery is discharged only on the second day. "Tandem" full-fledged OS with Intel Atom Z3740 gives excellent results. In fact, it is almost a desktop PC, albeit simple, but still complete. If you want, then the Asus VivoTab Note 8 you can easily install even Photoshop. The picture is quite good, the sound is also excellent, and entertainment is available. Plus there is a stylus that extends the capabilities of your tablet, providing additional comfort in the work. Asus VivoTab Note 8 is a niche device which is quite suitable for activities such as movies and games. However, the main feature is the ability to solve serious tasks tablet. In fact, Asus has presented a very convenient device to work. This option can be called perfect for business, especially if you're used to working with Windows and apps for this OS. 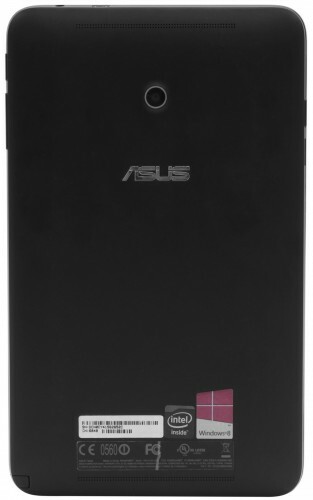 Regarding the price of Asus VivoTab Note 8, it is about $400.